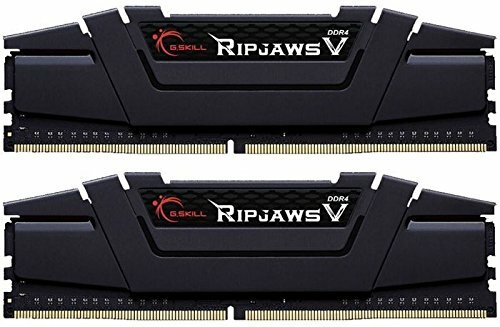 Great RAM at a great price. I'll wait a few months and pick up 2 more sticks to fill out the slots I have open. Pro-decent speed and memory. Con-Excessive and maybe a bit more pricey than cheaper options. Super fast ram so I won't need to upgrade anytime soon. Highly recommend. Great RAM. Currently running at 3200mhz using MSI BIOS version 7A34v1F. R7 1700 compatible after bios update with motherboard set to 3200Mhz with ease what a deal newegg at 114.99 sweet.<1 year later not a single issue was at proper speeds after 1st bios update. I just kept updating bios for stability and RAM function. Matches my build aesthetic. Currently overclocked to 2933 MHz without having to change voltage or timings. Tried 3200 MHz with stock timings but it put the PC into a boot loop so just keeping at 2933 MHz for now. The infamous category: RAM for Ryzen. I picked this kit up because it was on "sale", and I'm almost certain I got Hynix die for my trouble. Regardless, I expected some kinks and obstacles with the RAM heading into this build, so I wasn't blindsided when I couldn't get the system to boot stably at 3200MHz. 2933MHz ended up being the safest speed for these sticks so far, and that's fine with me. Perhaps, with a later BIOS update, I can squeeze out that extra couple hundred, but for now I'm happy. Works at the 3200MHz frequency after editing in the BIOS.